Announcement Free local pick-up in the Boston area and periodically in northern New Jersey. CONTACT ME BEFORE PURCHASING for coupon code to cancel shipping cost. 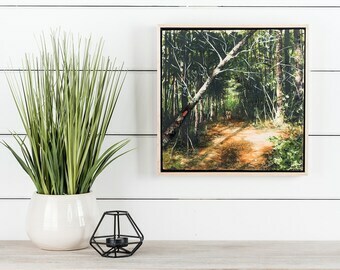 Additional landscapes on reclaimed windows available (as seen at https://sundaystudios.carbonmade.com/), email to inquire. Free local pick-up in the Boston area and periodically in northern New Jersey. CONTACT ME BEFORE PURCHASING for coupon code to cancel shipping cost. 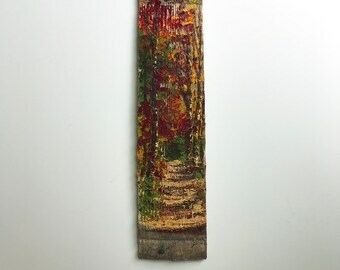 Additional landscapes on reclaimed windows available (as seen at https://sundaystudios.carbonmade.com/), email to inquire. Photo by Adrianne Mathiowetz. Contact me for pricing on landscapes in oil on reclaimed windows. Contact me for pricing on landscapes in oil on reclaimed windows. when i was little i was regularly reprimanded for sculpting my mashed potatoes instead of eating them. now i sculpt paint, spreading it thick with a palette knife. saturated, juicy textures call out to me – the smooth surface from the knife, the layering of sumptuous earth tones, the empty spaces where character shows through. i’m drawn to surfaces weathered by years of wind, rain, sun, salt, and stories. forgotten pieces in the grass and sand and salvaged from discard piles get added to the ever-growing “i could paint on this” collection that is slowly taking over my apartment. my sundays are fueled by 60% daydreaming of late afternoons on the beach, 30% calm of the quiet in my city studio, and 10% strong coffee. Be the first to know about work in progress on Facebook (http://www.facebook.com/SundayStudiosbyJamie) and Instagram (http://www.instagram.com/SundayStudiosbyJamie). Hope to see you there!